When Google de-indexed over 500 small web directories in 2012, many stopped using all directories, fearing that Google would eventually penalize the rest. Five years on, we know this did not happen. Listing your business in major business directories and smaller, well-managed directories is beneficial and should not be avoided. What Google did is eliminate only the poor quality directories which did not moderate their listings. Directories that are selective, rejecting spammy links and only listing real businesses, are safe and still valuable. Matt Cutts, former head of Google’s web spam team, stated that Google is looking for directories to put in a lot of work when building their sites and to add value to their users, as opposed to running a link scheme. Contrary to what many may believe, it is not only good to be listed in online directories but also crucial to being found online and off. Small businesses often don’t realize the importance of being listed in online databases and directories. For example, a mom and pop restaurant that has been around for decades in a small town could very well not see the point of putting its information in an online database. But the owners are losing business by not doing so. Even in a small town, it is untrue that “everyone” knows about your business. New people move in, people have short memories, and others are visiting or just passing through. When people travel through a town, they use their mobile phones to search for restaurants, auto parts, mechanics and other types of businesses . Online databases power mobile search. If your business is not in the database, potential customers will not find you, causing your business to miss out on sales. Not claiming your business listings can allow competitors to take them over and steal your customers. Are you aware that if you have ever had a listing in the physical yellow pages, directory listings already exist for your business online? It is critical that you claim these listings because dishonest competitors sometimes hijack them to send customers away from your business to their own. More is at stake than simply losing customers. They could also damage your company’s reputation if they provide bad products or services. Every company needs to proactively protect their good name and prevent others from using it. Mentions on powerful sites are typically extremely difficult to get and very valuable. But companies can easily claim their spots in directories like Google for free. So why wouldn’t you take advantage of this free advertising? Because Google has the vast majority of search traffic, claiming and optimizing your listing there is your first priority. If you don’t control your listing, a competitor may. At best you’ll lose traffic and money; at worst, you’ll lose your reputation. I personally know a mobile mechanic in Dallas who was so busy he could keep three mechanics working full-time. Then suddenly, the phone stopped ringing. He was lucky to discover that another mobile mechanic had claimed his Google listing and changed the phone number. Fortunately, Google recovered the account for him and he was back in business within a week or two. Imagine what would have happened if he had not found the cause or Google had not acted quickly to restore his correct information? Google has recently rolled out some new features you should be aware of, both for their dangers and benefits. Now on Google My Business, when you go in to add your listing, you can create a new website hosted for free by Google. However, if you choose to take advantage of this option, beware that you don’t leave the box checked that says “Make this my website address on Google search and Maps.” If you leave it checked, your free Google website URL will replace the URL of your actual website. The consequence will be that you will lose traffic to your own site. When people search for you in Google My Business, they will find Google’s website instead of your own. Something else to be aware of is that when you create this special Google website, Google inserts its own analytics code that the company has access to, but which you do not. Google does this without telling you about it beforehand. On a more positive note, another recent development from Google is a feature that allows companies to create something called Google Posts. Among other benefits, this feature allows you to promote upcoming events or specials, feature certain products, and let people sign up for newsletters. Posts can then show up in the Google search results and on Google Maps. Before you get started, you will need a way to keep track of where you have submitted and the status of your requests. This could be a Trello board or a spreadsheet. Set this up and use it or you will end up duplicating efforts and wasting time later on. Directory listings are also known as citations. Moz defines a citation as “any online mention of the name, address and phone number for a local business”. This would include far more than just directory listings. But most often when businesses ask about getting more citations, they primarily mean directory listings because most other types of mentions would not include an address and phone number. It isn’t easy to categorize the various directories because there is a great deal of overlap between types. For example, search engine directories are often connected to that search engine’s maps. But the smaller lists provided below are easier to review and work with than one huge list. Every business should make it a point to seek out and manually list themselves in any niche directories that exist for their vertical. Using one of the listing services is unlikely to identify and get you added to all of these without additional research. Refer to How to Find Niche Directories for details. What the multiple listing services will do is ensure you are listed in the databases that new sites often use to populate local and niche directories. This can lead to your business automatically being included in new directories and on new sites before you even know they exist. Remember that the terms ‘directories’ and ‘citations’ are used interchangeably by many people. So you need to search for both to turn up the most resources. Look for niche citation lists like this list of best citations for lawyers. A good place to start is the Moz Best Local Citations by Category lists. No list of directories or citations is ever complete because there are so many of them. Search for resources such as this Definitive List of Local Search Citations to obtain additional listings. It is extremely important that your name, address, and phone number (NAP) are identical in all of your online listings. Because Google is the most critical, save the information you use on it to use on all other citations (as closely as possible — some formats may vary). Identical means that one site does not have your business listed as being on “Main St.” while another says “Main Street.” They need to be exactly the same. The reason why this is so important is that Google needs to know that your listings are in fact your listings and not those of another company. Always list your local number as the primary phone number in all directories. Put your toll-free number in the field specifically for toll-free numbers or a secondary phone number field. The importance of consistency is another reason why solutions such as Yext or UBL are so beneficial. If you have to enter your data a hundred times, you are far more likely to make a mistake than if you only enter it once. With so many directories around, it can be helpful to know which are considered better quality. The directories mentioned in this post are generally regarded as better than average. There is also more information below about platforms you might use to control your listings from one place. Why Pay to Submit Listings From One Platform? You need your information in online directories and databases. But there are hundreds of sites online that could benefit you. Each one requires you to enter all of your data, including your contact info, description of what you offer, and choose categories and keywords. On some you can upload images and video. All of these sites have different ways to categorize information that you’ll have to figure out as you go. A lot of them are buggy, meaning that your submission may not be successful. And after you finally overcome those hurdles, it could take a long time for your updated information to go live. Because of the number of sites you need to be listed on, putting your information into directories manually can take days or weeks of your time. This is why it is extremely valuable to use a platform that allows you to control all of your main listings from one place. Automatic solutions such as those listed in the next section have made arrangements with various directories and databases and can push your info to them so that people who search for your industry will find you. You will only need to input your data once and hundreds of listings are updated for you. The cost is worth it because of the amount of time you save, but also because your business can be entered much more quickly into databases that take longer to get yourself added to manually and can cost more individually than the aggregate listing service. 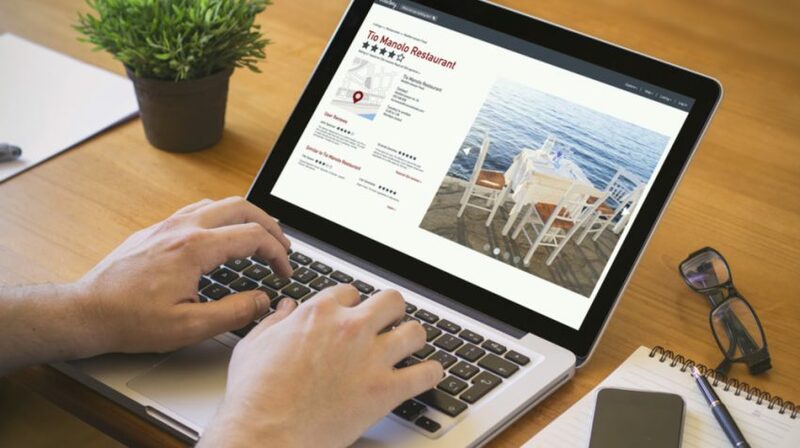 As discussed earlier, it is extremely advantageous to use a site that will update your business’s information on multiple listings simultaneously. Knowing what sites you’ll appear in is important because you want to be listed in the directories that will give you the most traffic. Reporting is necessary so that you know how successfully your listings are being updated. Otherwise, you’ll just put your information out there blindly and never know if the listings go live. Below are a few of the most common platforms for managing multiple listings. Universal Business Listings (UBL) was the first solution on the scene offering businesses the ability to update their info on multiple sites at once. It was blazing the trail for the platforms that came after it. Getting diverse systems to integrate accurately was a major challenge and was not smooth sailing at first. UBL provides detailed reporting on your visibility on the major search engines and web directories. The platform finds any mention of you across the web and evaluates whether there are any issues with your citations (for example, how accurate your NAP is). 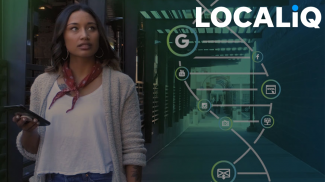 UBL is now powered by Advice Local (see below). Advice Local claims to power the listings of over 250,000 businesses. It sell packages rather than charging by the citation. For example, for $150 plus a $20 per month fee you receive aggregator submissions and manual submissions to 50 sites. Bright Local hires people to manually create and verify listings. The platform provides reports and it is estimated to take about six months for new listings to be completed. Bright Local charges $3 per site for manual citations or $55 per year for data aggregator services. The platform also has a comprehensive chart comparing its service to most of the others mentioned in this post. Moz Local gathers information from the main databases that are important for U.S. companies. The platform also partners with other websites and directories. Listings are automated and cost $84 per year. The company provides reports that include traffic data, reviews, and rankings. It’s pretty affordable, but some say that it updates slowly and could offer more directories. Whitespark has evaluated what the company believes are the most essential listings you need, depending on which country you are targeting (U.S., U.K., Canada or Australia). The company charges $4 or $5 per manual citation, depending on whether it is general or niche. Whitespark then provides reporting that gives usernames and passwords of the sites your business is on so you can edit your listings yourself if you choose. Yext listings management feeds to over 100 networks, including Google, Facebook, Instagram, and Yahoo!, updating them in real time. Updates can be scheduled in advance for seasonal or holiday hours of if you are closed while on vacation. Yext Analytics provides detailed reporting of relevant data about your customers. Yext is one of the more expensive automated options ($499 a year) and requires an annual contract (which is highly recommended regardless of which solution you choose to use). Decide whether you want to use a service yourself or hire an agency or individual to act on your behalf. 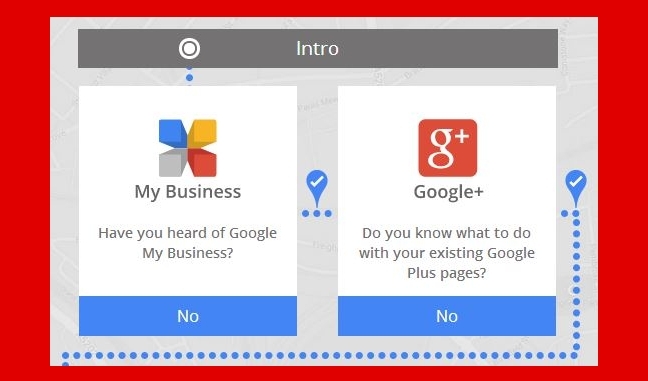 At a minimum, immediately create or claim your Google My Business listing. Then work on the other major directories, move on to niche directories, and finally obtain more of the mid-range general directories. Remember to update your directory listings at least annually. It is important to annually reconfirm your listings and keep them current or they may be dropped by directories. Businesses come and go regularly, so these updates indicate you are still open. Make it a priority to take advantage of free upgrades, especially on Google and other sites with active communities. Uploading new images, videos, photos, special offers, and coupons regularly can increase business and ensures the directory knows your business is active. 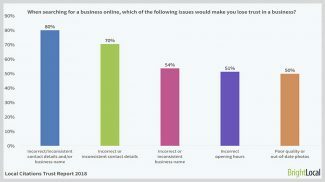 (Active businesses are likely to be shown higher in the results.) Doing so will help you gain greater visibility and attract new customers. This was a fantastic article and pretty extensive list of directories! While I agree with using a third-party platform, such as Moz Local, which I use myself, I think it’s also worth noting that these platforms are a monthly subscription to maintain that data within each directory. If you were to stop paying for the subscription, there’s a very high likelihood that the data will revert back to the original because the platform is no longer pushing that data. The thought of basically having to pay forever to keep things accurate can make anyone reluctant to pay for the service. However, I think in the long-run, it’s still worth the investment. Thank you for pointing that out. Are you sure that all of them are monthly subscriptions? I believe that some are only charge once a year when you confirm or update the information. Also, when they push the data out it will end up in the databases of the other sites. It would be far too processing-intensive for all those directories to be pulling that data live. So if you stop paying, it would not be possible to push updates to the content through that service anymore, but it should not change what has already been picked up. I would look for a third party tool that only charges once a year rather than one you pay monthly (unless that charge is 1/12 of the amount. Now we know why some of these tools are more expensive. As long as a small business updates annually, that is enough for a minimum. But ideally, they should be using the abilities of some platforms to push special offers and coupons to increase sales. While it’s very convenient to use one place to manage them all, I discontinued using such services just because pushing automatically data from any computing system to another gives me absolutely no control over what’s happening on the other side. Each directory has something separate, something unique in it. Besides, I’m a bit old-fashioned when it comes to directories. And I did a math a few month ago and on the long term it’s cheaper to do it manually and you have full control over the login details, about what’s posted… maybe some local directory’s layout needs another cover photo… I don’t know, you understand I suppose. Then, obviously, those few high editorial discretion web directories (Dirjournal, Jasmine, Business.com et caetera) won’t work with any 3rd party platform to have their clients’ listing data pushed directly into their directories. And, these directories are amongst the last few real human edited ones – the only reason they have never been penalized by the big G… neither in 2007, neither in 2012, neither in 2014. In that video that I see it’s embeded here as well (grats Gail, this is one of the very few articles on the topic that actually use real sourcing material that many other webmasters could use… but 90% won’t…) Matt Cutts made it clear (well, as much as he could, I suppose we all know his style  ) that Google hates those “youhuu… I have a PR5 directory, suggest everything and pay the $10 bucks”. It was obvious that those directories should be gone because they were simply trash. On the other hand, there are still a few directories that apply a high editorial discretion and guess what? They survived and thrive. Wonder why? 😉 Once I made a test on my fav ones… got all the external links with the old Xenu from each (there are only 5-6 so it wasn’t that hard) and analyzed each of these 5-6 directories’. The data was awesome: a Domain Authority of 60+ (the sum of each external link/# of links) which meant that those 5-6 directories really apply some hard-core ED. So that was something to think of, in a good sense, obviously. Rand Fishkin in 2007, when Google penalized 80% of all directories (even deindexed the most of them) came to a similar conclusion for those directories that Google never touched. Thanks for sharing your insights on directories. I originally submitted to them manually, but boy does that get tiring. Now I favor using a tool to send out the submissions and then manually upgrade the most important ones and submit to any that the tools don’t include. What surprised me the most when I first used UBL was how many tiny local directories sent 1-3 visitors per year to tiny local businesses I was advising. Most wouldn’t bother with them, but for them this was a goldmine of additional sales of high ticket items. I wish I had mentioned that the type of directories you mention can’t be listed into using these tools. So the list above can assist small businesses in finding more places to get listed for the value of both incoming traffic and domain authority.